Party food occupies a strange section of the culinary world - no one can quite define what it is, but everyone knows what it isn’t. We’ve all faced a depressing party spread at one point -think soggy cucumber sandwiches, or the dreaded cheese and pineapple hedgehog. It’s time to buck the British trend for sad party food and get creative. 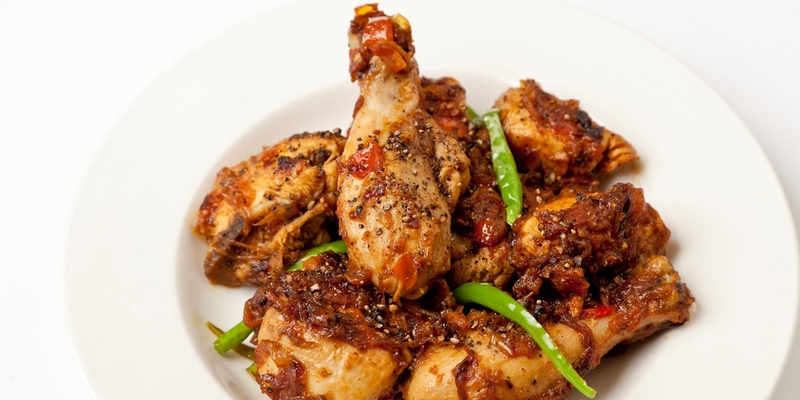 Alfred Prasad takes things in the right direction with his pepper chicken recipe - generously spiced drumsticks that are perfect for nibbling. If you’re short on time but are still searching for big flavour, tuck into Marcus Wareing’s crispy chicken canapés - they take only 30 minutes to whip up and pack a punch thanks to the mustard mayonnaise dip they are served with. Meanwhile, Matthew Tomkinson keeps vegetarian visitors happy with his veggie tacos with guacamole recipe - a colourful party treat that's particularly good when the sun is shining.